Composed by Sichuan Folk Song. Arranged by Albert Wang. 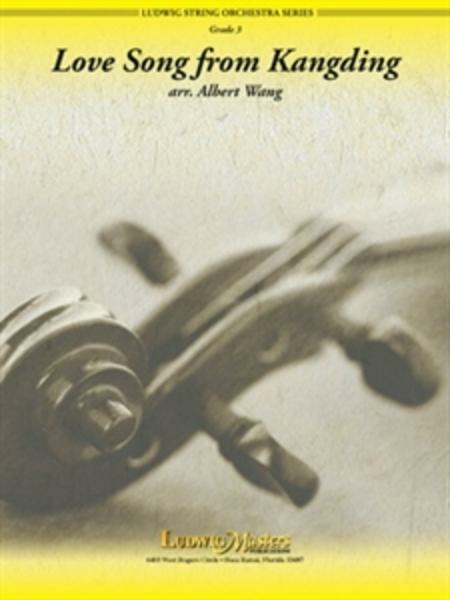 Ludwig String Orchestra Series. Score and Set of Parts. Published by LudwigMasters Publications (LG.10250152). This love song is well known throughout China. The exact origin of the song is unclear and it is described simply as a Sichuan folk song. The song sings of the beauty of Mt. Paoma, a mountain peak that rises 1,000 feet over the city. It has a Tibetan monastery at the peak and is said to "scrape" the clouds from the heavens. ".